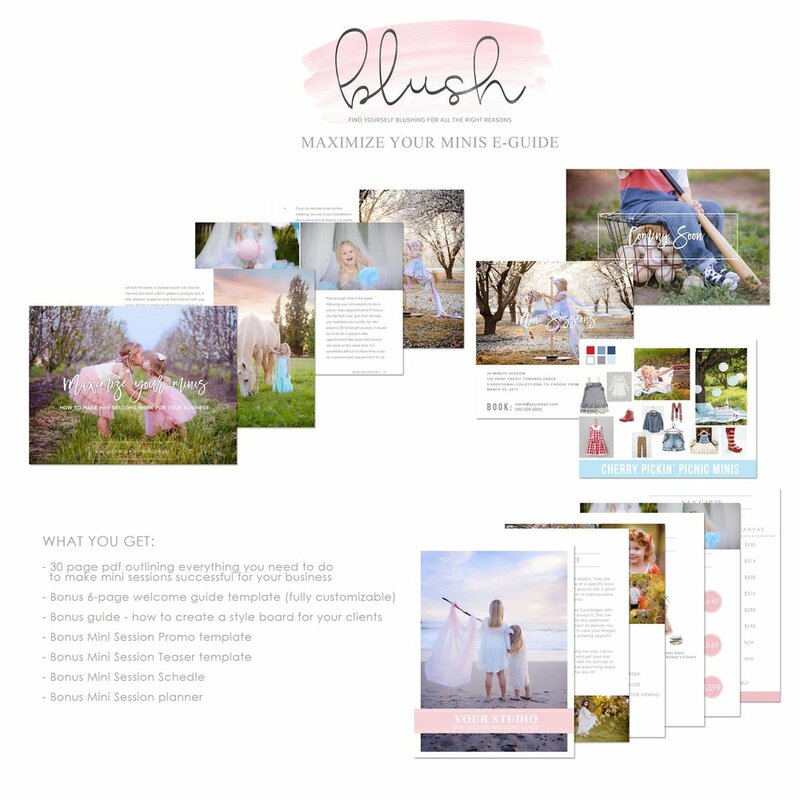 Whether you are starting out as a professional photographer or you are a seasoned pro, Blush is here to offer you education in all areas of your business. We want you to succeed and our goal is to provide you with the tools to do just that. Our goal is to give you content to inspire you and help you grow as a business owner. We want you to be the best you can be and we're here to teach you how to do just that. Find blog posts on pricing, IPS, packaging, posing and so much more. Are you looking for a new logo or a branding kit for your business? Maybe you just need to update your pricing guides. Whatever your needs are, you'll find them in our shop. New products will be added regularly that will aide you in marketing and editing. Amy and Angie live near some of the most beautiful land our state has to offer. With our variety of venues and combined photography experience, our workshops will be full of amazing content, hands on learning and new friendships. Sign up with your email address to receive news, updates and sales! Thank you so much for signing up for our newsletter! We can’t wait to help you on your journey to be the best photographer you can be!